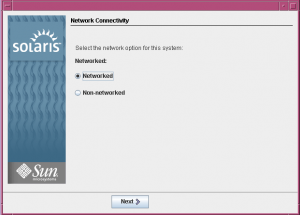 If you would like to run an operating system that is stable and very powerful from an administrators stand point. 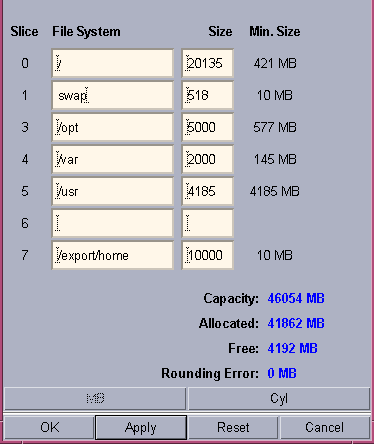 Create multiple zones running different core functions of you web farm. 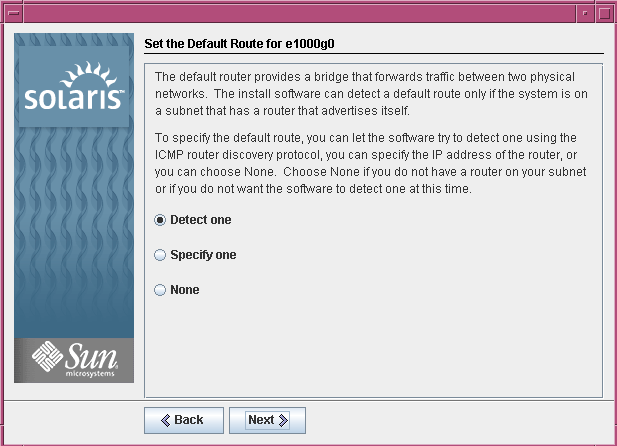 IPMP (IP Multipathing) allows you to set redundant paths in case your link goes down. 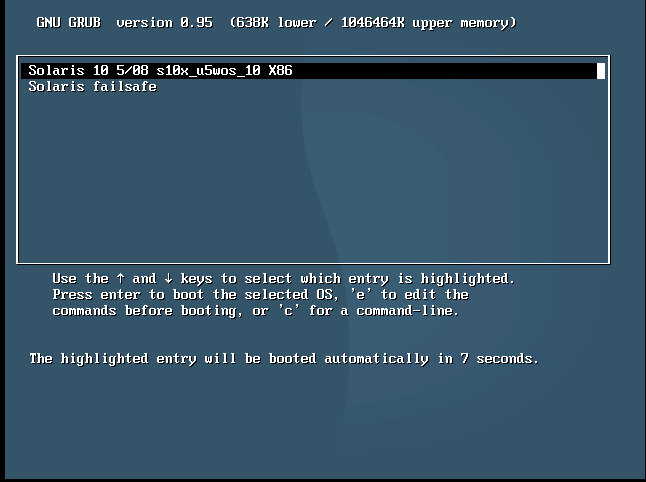 Harden it with the BSM Basic security module, set RAID arrays on your disk for reliability.And alot more. 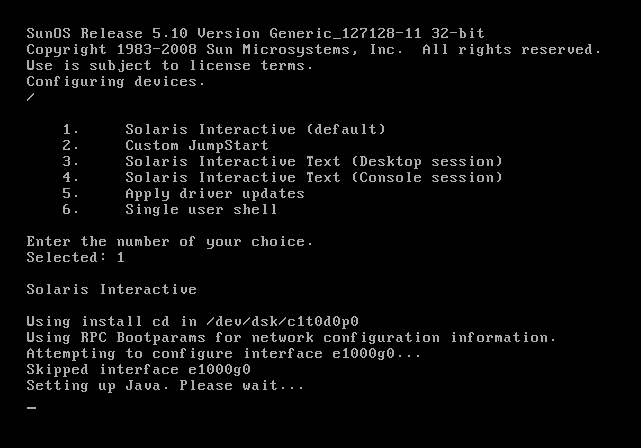 SO Burn your Solaris OS DVD and pop it in. 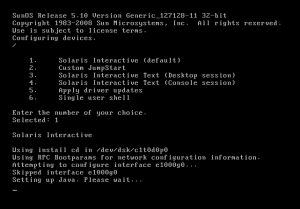 Boot from your CDROM and select the Solaris Interactive mode installation. 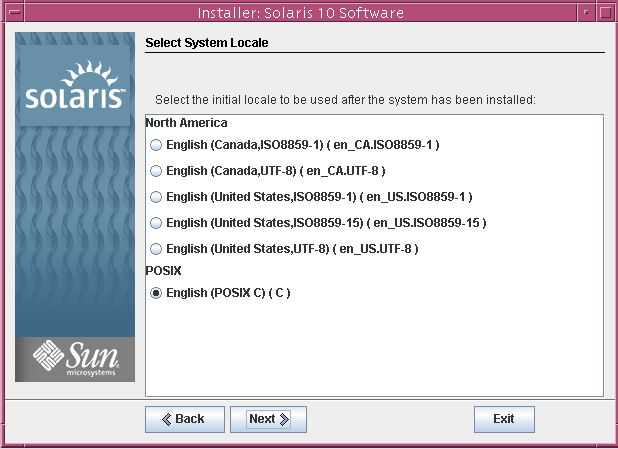 Select 0 for english Language or YOUR language of choice. Select Networked if the system will be part of the network. 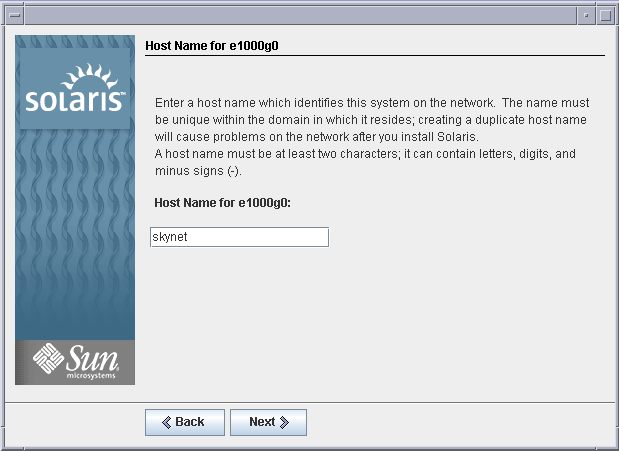 Enter the hostname for the machine. 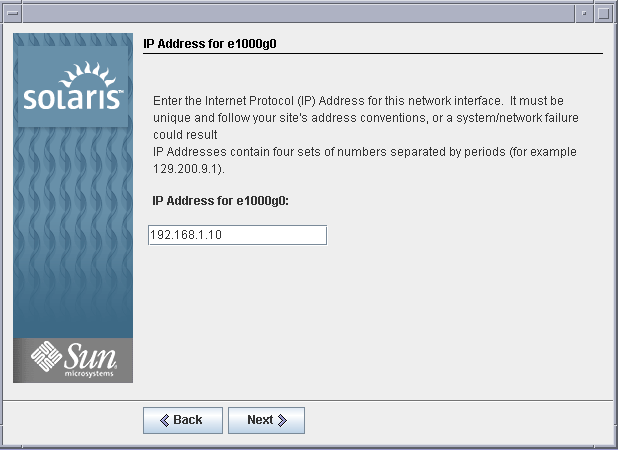 Enter an IP address for the machine. 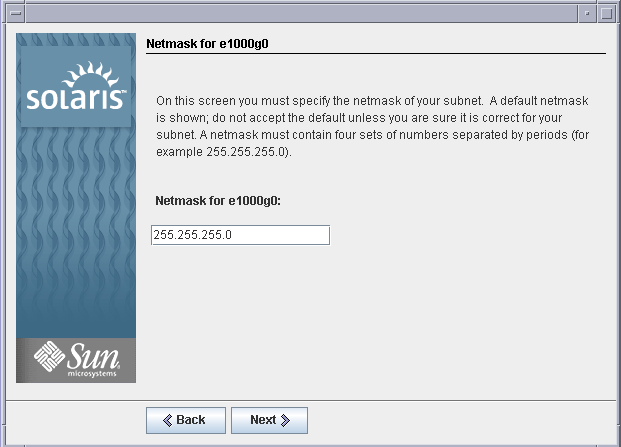 Enter a subnet mask for your ip address range. 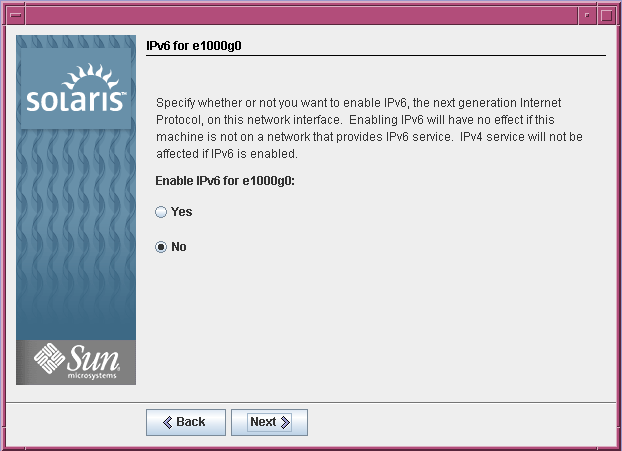 Select IPV6 networking if required. 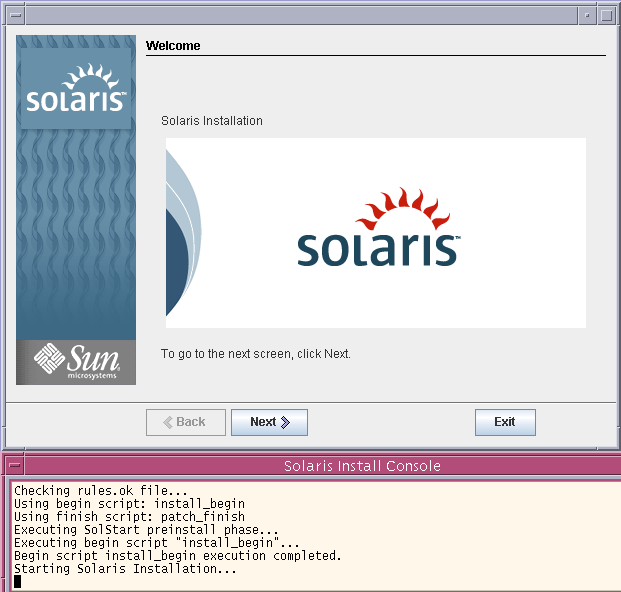 Set the default route for the machine or select to have the machine try and discover a default route. 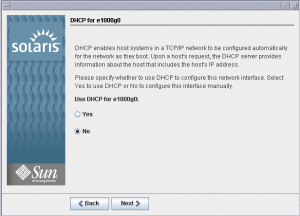 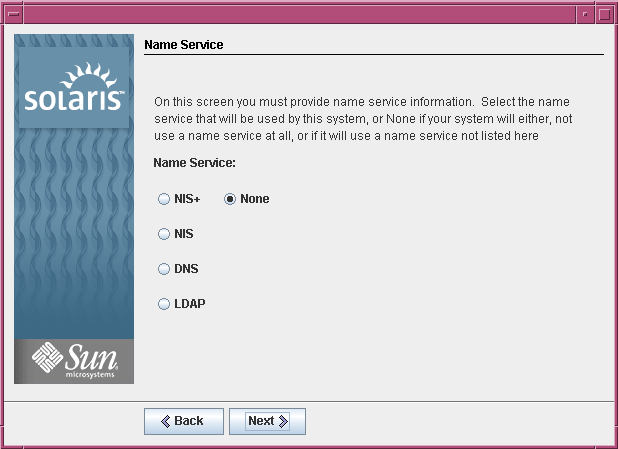 Select your network naming system from NIS,DNS,NIS+ LDAP or none. Select the NFSv4 domain to use either Default or a Custom name. 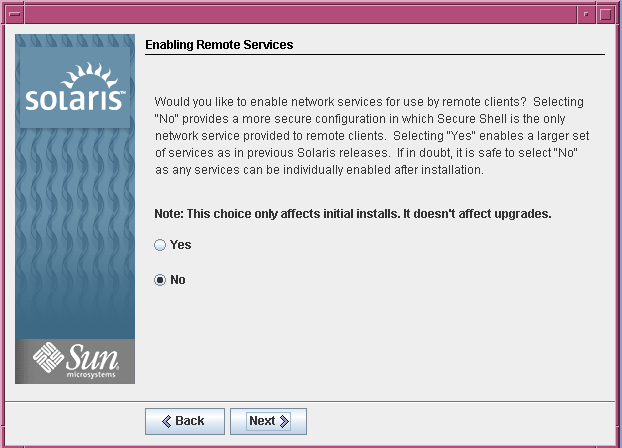 Enable remote services on the machine. 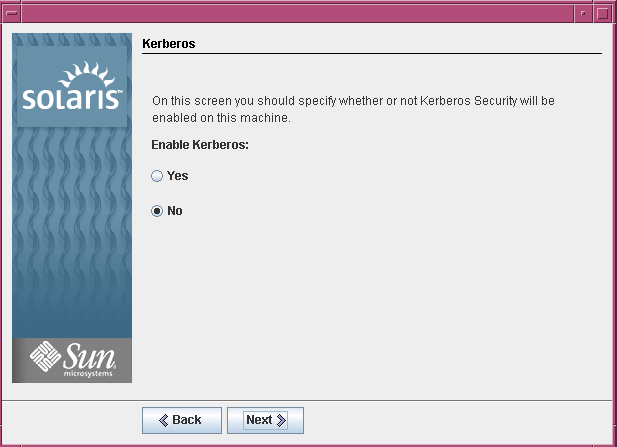 Unless you really need these features its a good idea to turn them off to harden the machine. 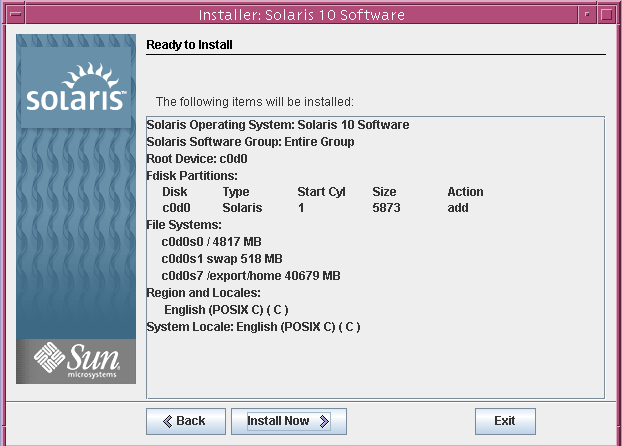 The installation will begin the installer. 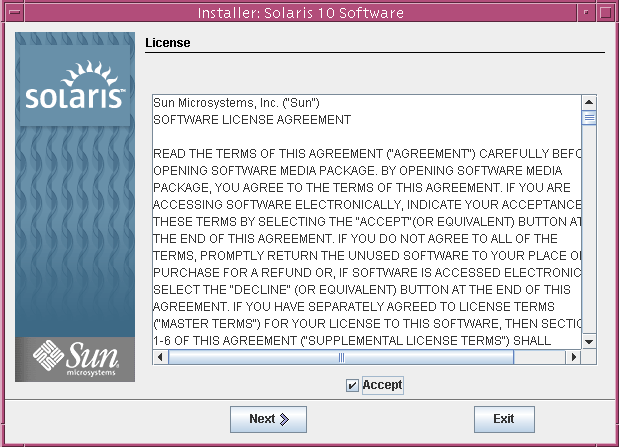 Select the media you wish to install solaris from. 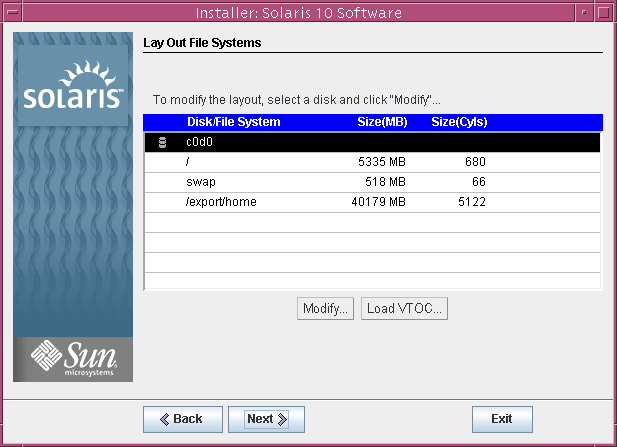 Here is where you will need to either select a basic installation and accept the defaults or use a custom install and configure the settings yourself. 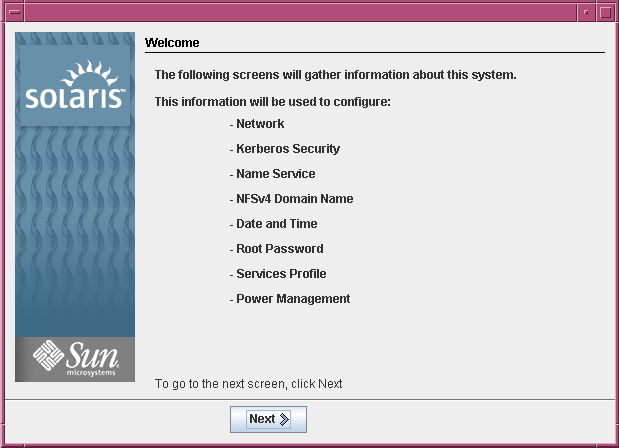 Here is the basic installation screen.the / root directory is set as well as the swap and /export/home directories. 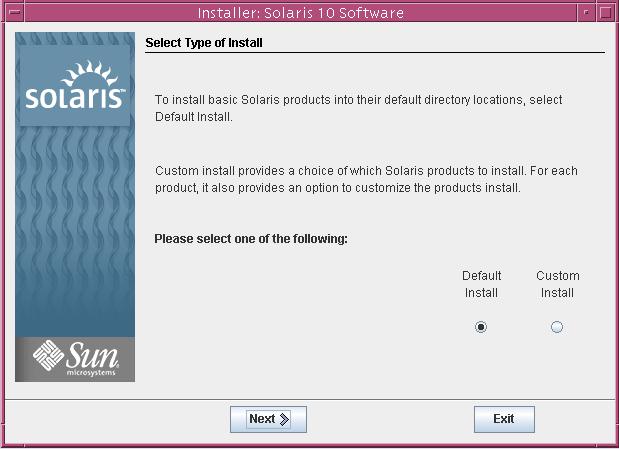 At this point you can continue with the defaults and finish the install or select custom. 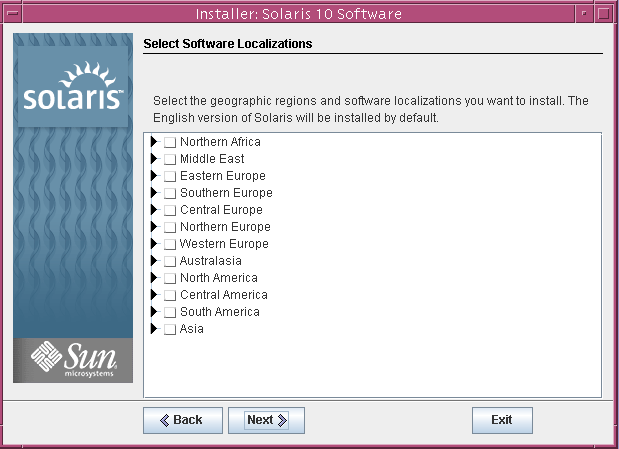 To customize your setup Select your language. Set the locale POSIX (c) should be fine. 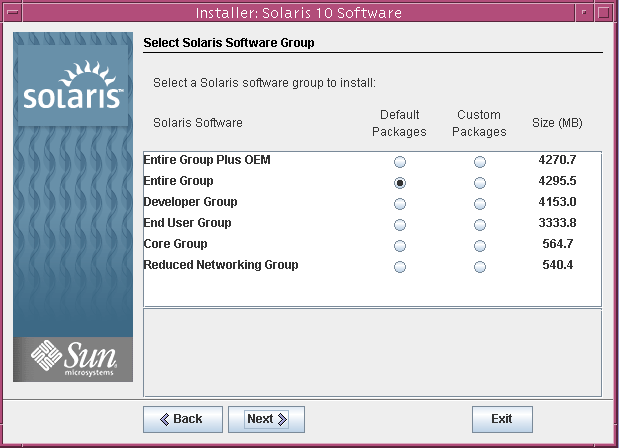 Select the software distribution group you would like to install. 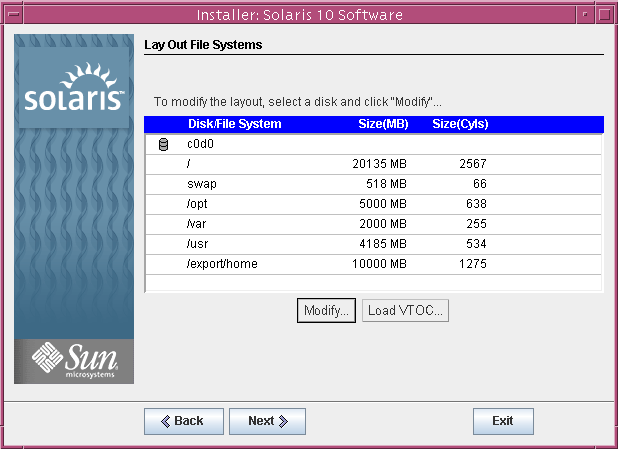 Select the disk to install solaris on. 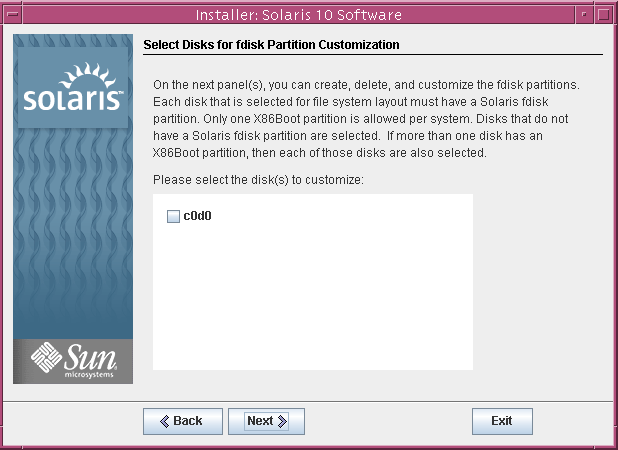 Choose the disk to customize your partitions. 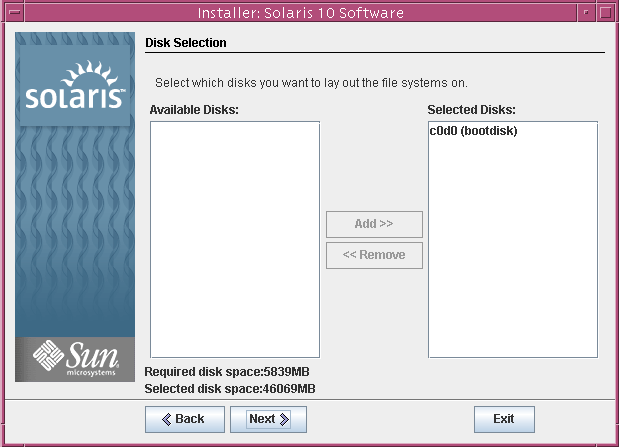 Select the Disks you want to setup a partition on,i only have 1 disk so ill select the first one. 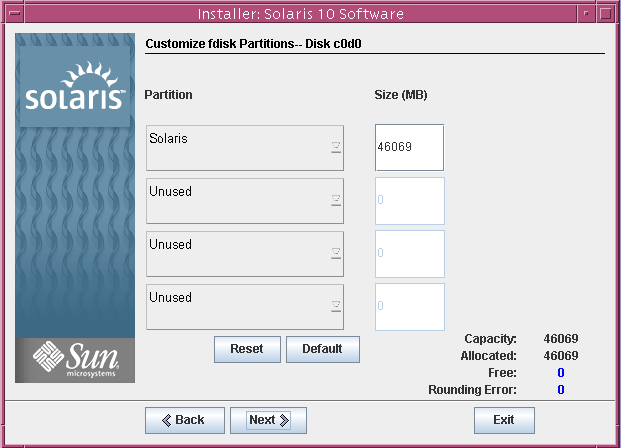 Click modify to change the default partition setup. 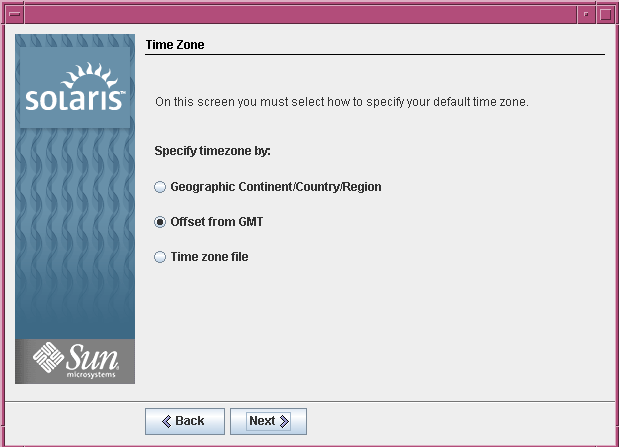 Select next to finish your custom partition setup. 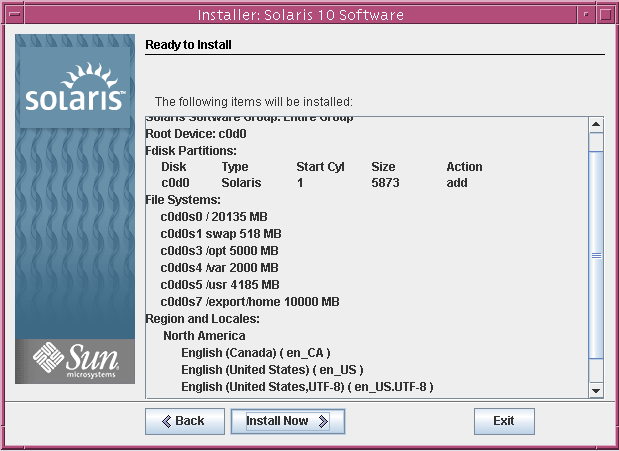 Review the settings and click Install Now to begin the installation. 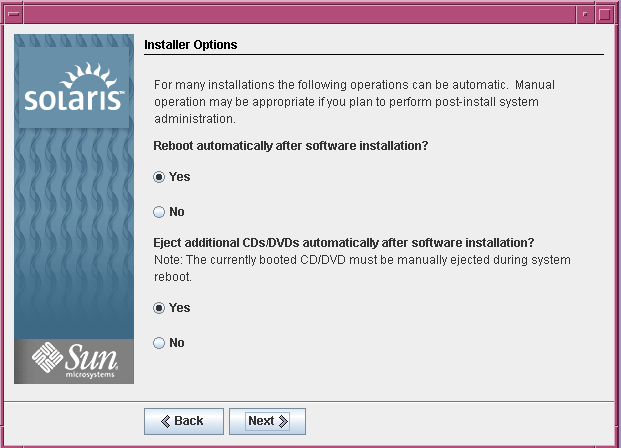 After the installation completes the system will reboot. 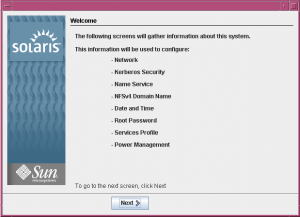 After you reboot you will see a solaris GRUB screen Select the Solaris 10 option and the machine will boot to the console,wait until the Gnome GUI loads and login. You can now login to the system using the root account and the password you setup.